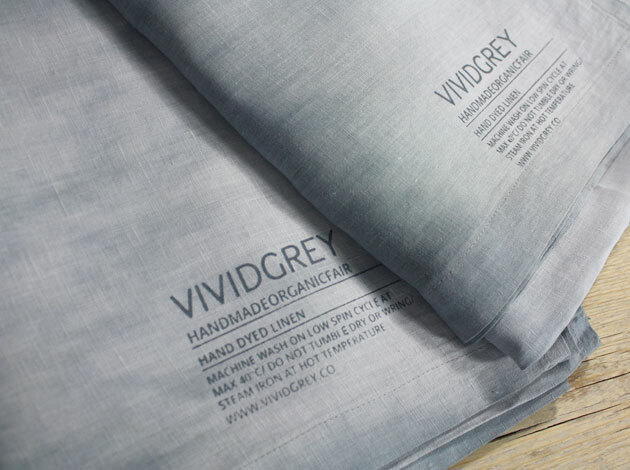 Preciousness, hand-crafted, discovery are just some of the words you could use to describe VIVIDGREY; a new soft furnishings label based in Vienna which has its own soft-austere aesthetic. Behind Vividgrey is architect, native Austrian via several years in London and designer, Sabine Fajana. Evolving from her work for luxury brands on their interior architecture, the products Sabine designs are Modern Heirlooms – rugs, quilts, lampshades, cushions, all handmade in her Vienna workshop in shades of grey. Core to the collection is a feeling of preciousness – things that are unique, crafted by hand and that will carry precious memories. And whilst the label is subheaded, Living With Children, this applies to adults and kids alike. Within the designs are hidden details – hearts, frogs, keys, beetles, spider’s webs – all there to discover balancing the wild and the serene. Plus imagine our joy to discover that Sabine is sister to part of the design team behind FLUX favourite, avant garde fashion designers, house of the very island’s…! So we thought it would be great to get an insight into the label and its background with an interview with Sabine. FLUX: Have you always lived in Vienna? If not where did you grow up as a child? I was born and raised in Vienna but I spent more than a decade studying and working as Interior Architect in London. I feel at home in both cities. I also have strong memories of childhood holidays that our family spent in Corsica – these times could not have been more different from city life with the island’s wild landscape and the sea. This one month a year full of freedom and exploration shaped me very much when I grew up. On the contrary, my upbringing in Vienna was very protected and caring. In our home a lot of things were being handmade. I remember how clothes were amended to fit or patched by my beloved grandmother. My great grandmother was a seamstress and worked for an embroidery company after the war, my great grandfather did detailed technical drawings. So it was normal to us to plan and make things ourselves. My mother was always very fashionable and bought the latest pattern magazines so that my grandmother would make the clothes for us. Fabrics were expensive and this was not a cheap alternative to buying clothes. I suppose in the 70ties and 80ties it was not easy to shop here in Vienna. At a very young age my older sister and I got the same dresses made in two different sizes for our summer holidays. This made us feel special and looked great on our family photographs! My passion for creativity, the pleasure I get from making things by hand and an obsession with details is based on my upbringing. Now as I am a mother to my little son, I want to pass on some of the values I grew up with. I want to rebel against the fact that today it is perceived as embarrassing to wear lovingly patched trousers. As I turned into an Interior Architect and Designer, Spaces and Objects are what I am most passionate about. Through VIVIDGEY I want to create things that are engaging, loved and made to last and to be passed on for generations. This is why the concept of creating ‘Modern Heirlooms’ is so important to my brand. FLUX: Is your workshop based in the city now? What is it like? It’s newly built and located in Vienna within a cluster of low buildings that used to house our family run butchery. Basically it is a timber construction that sits on top of a shed that used to house the animals and coaches. It was very important to me to plan this building specifically for VIVIDGREY. As my previous projects were mainly about developing (luxury) brand environments, I wanted to give my brand a proper home. We finally finshed the building some months ago and a lot of the manual work was done by us – my family and myself. The workshop space has very high ceilings, it is airy with great big windows and a lot of light. The facade, the floor and terraces are clad in larch that we finished with natural oil woodstain. I re-used and adapted many elements that were found on the premises, like the timber top of the original butchery workbench which is now one of my tables and tall timber ladders that help me access the ceilings to hang and test some of the things we manufacture. I live with my little son Raven next door, my parents have their own building and my sister has her studio in a third building – all of which are assembled around a courtyard. Friends visiting me from abroad lovingly branded it ‘The Compound’! Downstairs is a big communal kitchen where the family meets. This used to be the actual butchery and still has an industrial feel to it with its tiled walls and large ovens, but has been adapted for residential use. All together a lot of different areas within our Compound are used for manufacturing – the laundry room that is accessed directly from the courtyard for dying the fabrics, the basement deep freezers for screen printing and so on. FLUX: What is your favourite thing about Vienna? I suppose it’s the luxury of having a lot of space! Having spent many years in London, I feel that there is an abundance of really spacious, affordable flats here in Vienna. Even students live in historic buildings where four meter high ceilings are the norm. Then again, we live in a particularily green part of the city, close to the river Danube. It’s a five minute stroll away to go swimming. These are some of the reasons why I decided to return to Vienna when my son was born. I just did not see how I could combine my work as Interior Architect in London with being a mother who wants to spend time with her child. I think the choice paid off, even though I miss a lot of things about London. Vienna is a very slow city in comparison to London which can be seen either way – as good or bad. 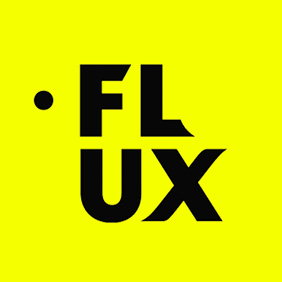 FLUX: I would say there is a very Austrian aesthetic in your design, that’s akin to some of the conceptual Austrian fashion designers. Do you think that exists as an aesthetic, and is it an influence on VIVIDGREY? Well, this is a very viable question as I am actually working on the same premises as my sister who, together with her business partner, runs the fashion label house of the very island’s. 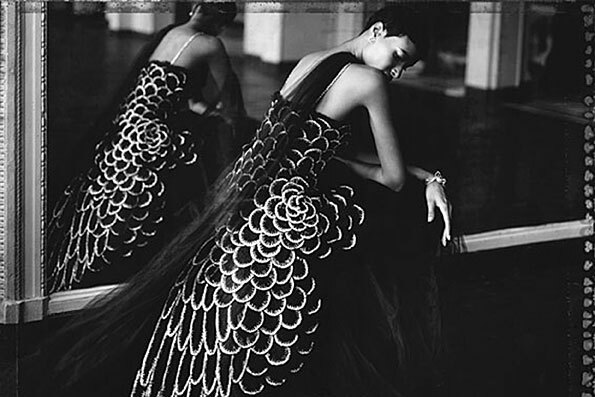 Of course I am strongly influenced by their work, especially in regards to customizing fabrics. However, I think its difficult for me to analyze if VIVIDGREY captures an Austrian aesthetic and I suppose it is easier to see this from a distance. I would say it is more the working ethics, the devotion and dedication with which I approach things that could be considered characteristic to this country. Things evolve here over time and are not short lived or change quickly. 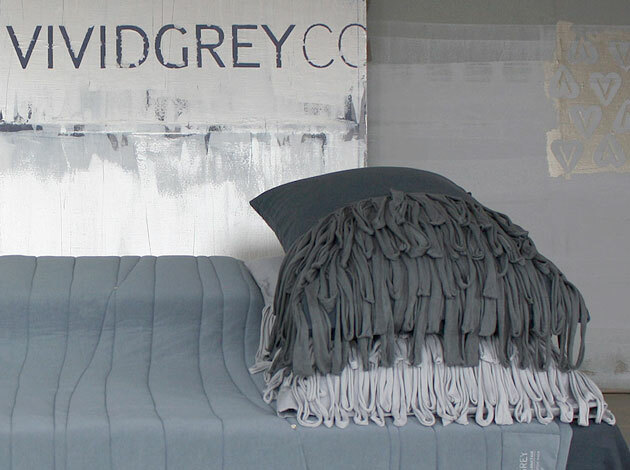 I see VIVIDGREY as a very European brand that evolved from my work as Interior Designer. There might be other paths to follow that I will apply my aesthetic language to. FLUX: Who are your favourite designers/artists? There are so many creative people I really value! One of my favourite contemporary artists has to be Noemie Goudal who blends the real with the unreal in such an engaging visual way. Or Claire Basler who paints something that sounds trivial – flowers – so emotionally stirring, wild and untamed. 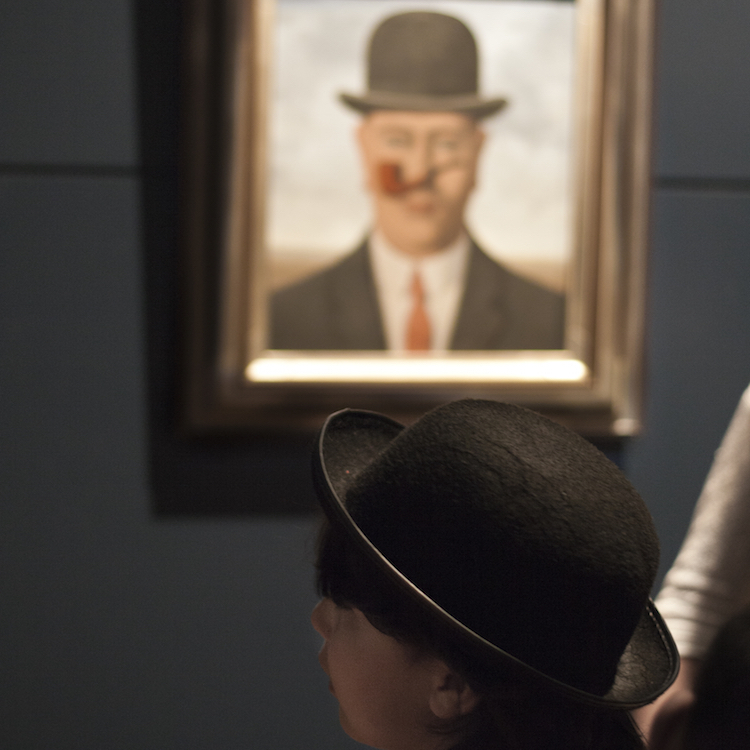 I would like to own artworks from both of them! 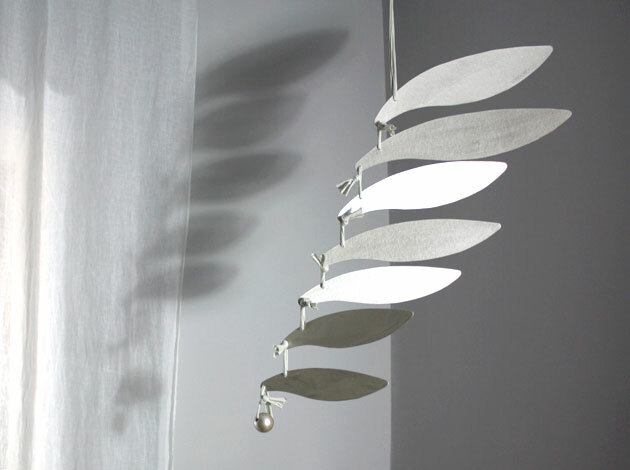 I also admire the work of David Oliveira who does sculptures of simple wire that look like three-dimensional sketches. And I love the residential Architecture of Luis Barragán which is still so relevant and makes even me long for colour. I also love installations that interact with nature and the outdoors, like Marco Casagrande’s ‘Sandworm’ or the textures of colourful leaves, stones and water in Andy Goldsworthy’s small scale projects. The reflections in Anish Kapoor’s sculptures that were shown in Hyde Park 2010 were also very engaging. 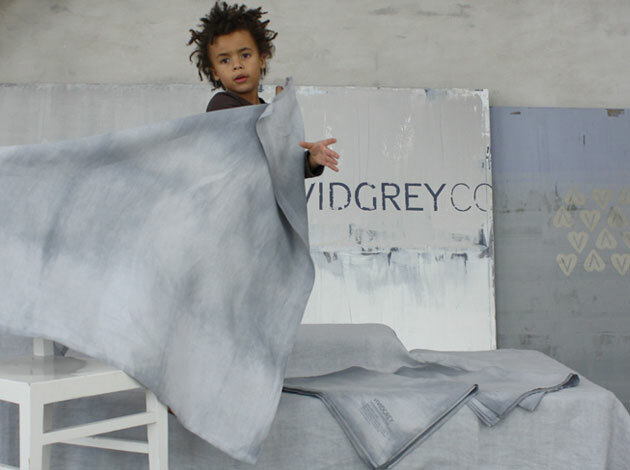 FLUX: VIVIDGREY has an austere yet soft, beautiful feeling to it that seems it would suit both children and adults. How do you people respond to it? Our house is filled with the things we make, so whenever people visit it is a good time to see their response. The whole range is about discovery, it’s a subtle approach to stir the imagination and create interest while fitting beautifully into an adult or a child’s world. 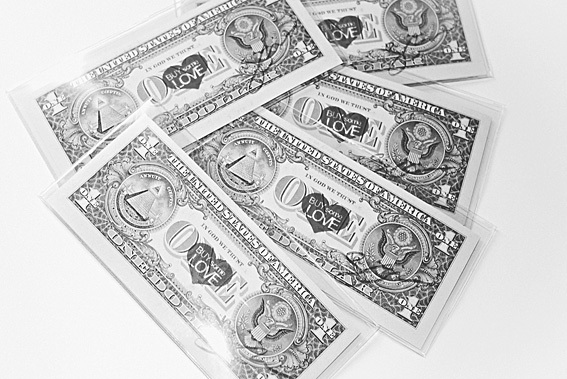 This seems to leave a more lasting and valuable impression than objects that go in and out of fashion. Kids remember that ‘there used to be this little frog in the lantern shade’ which is only visible when illuminated and they look for it. I think this individual, personal discovery is the essence of what creates a bond and valuable memories associated with an object. FLUX: There is a real sense of imagination and mystery in the collection too that I think is emphasised by the grey scheme. It’s a real contrast between the fun, secret, subtle aspects and the almost anti-colour scheme. It’s clearly a conscious decision – the lack of colour. I wanted to introduce my son to more refinement and this is how VIVIDGREY started. There is so much bold colour in the commercial mainstream especially for children, it’s nice to offer a balance to the short-lived products with objects of calm and neutral colour that are of high quality and are made to last. I tried to capture vibrance and vividness through textures or surprising details that reveal themselves through interaction. The items aim to create space for interpretation and imagination. To limit the colour palette to subtle shades leaves room to develop a sensibility for texture and other stimulations. Objects like an incredible soft blanket embellished with tiny leather hearts or a lamp or mobile that casts gentle shadows onto bedroom walls show that there is much more to perceive than colour. FLUX: If VIVIDGREY was a film or a book or a pieces of music what would it be? I like the association to music best as I was always thinking of having music on the homepage. I find that Alva Noto and Ryuichi Sakamoto create beautiful, subtle soundscapes that leave room for imagination and dreams. That is very much what my brand is about. Then again VIVIDGREY tries to balance this calm side with random, wilder effects which could be Karen O and the Kids! FLUX: Your philosophy on organic and fairtrade and locally sourced materials is very strong. Is it easy to source materials from your base? Do you have to travel to look at fabrics etc. You are right, it is essential to me to produce in an ethical correct way. This choice of materials and the handmade production process defines ‘preciousness’ to me – and VIVIDGREY items are precious! Most materials are sourced from certified, credible suppliers, others are made by a traditional Austrian company. The companies I buy fabrics and wadding materials from all have strong and clear ethics that comply with what I believe in. Most materials are sourced online, fabrics are bought natural and un-dyed. The colouring process is done here in our workshop – that is why no item is the same. Each batch of dying comes out slightly different and I think this adds to the charm of the products. Of course at one point I would love to travel to meet the people who manufacture the fabrics personally, to learn how a manual handloom works, to see how natural cotton fibre is harvested! 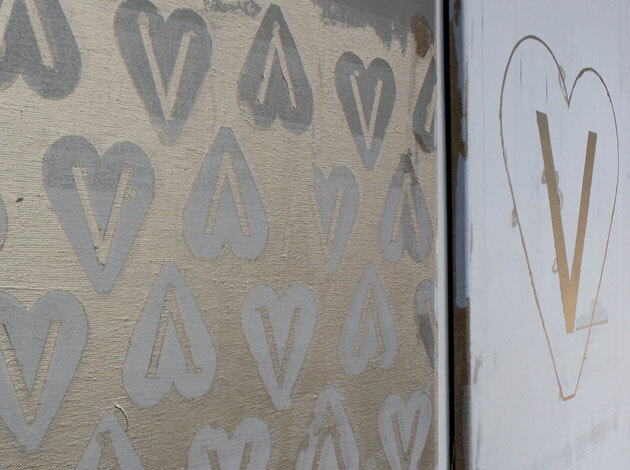 FLUX: And I love the handmade process too. So is it all done in house in your workshop? How long does it take to make a piece? Yes, everything is done here in the workshop, other then laser cutting the small frog shilouettes for the lantern shades! We even do the stationary ourselves with an embossing tool. I love the process of making things from dyeing the fabrics, working with the softest organic cotton wadding, to screen-printing the labels and, of course, this takes time. 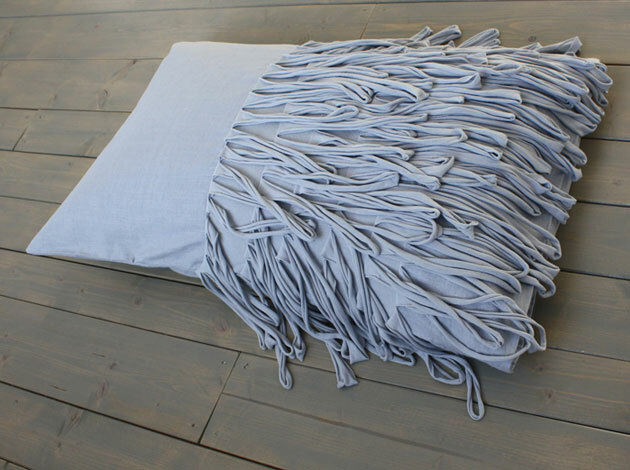 Every fringe of the cushions is cut by hand. 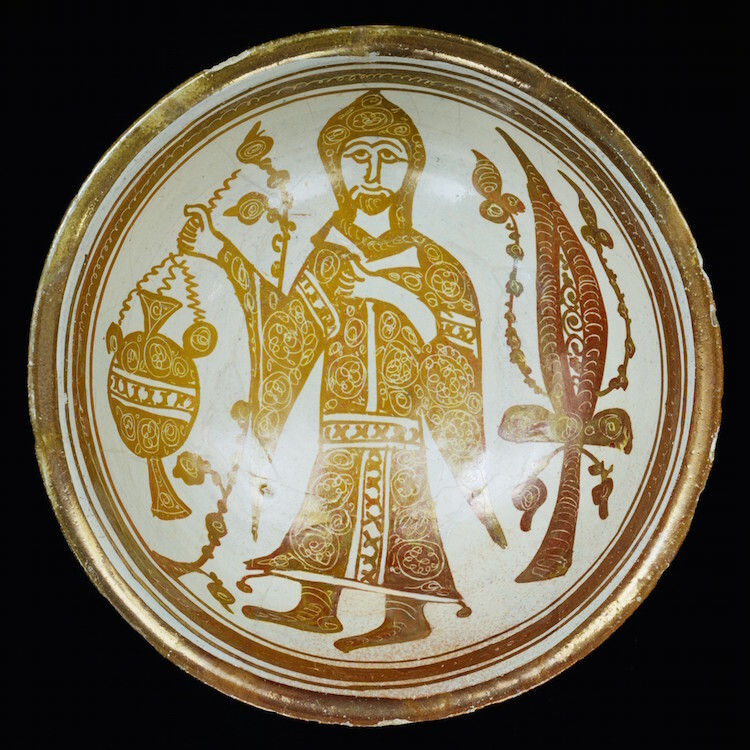 But I think and hope that this process shows in the final object and turnes it into something special to treasure. Currently a leaf rug is about a full days work but it also needs time to dye and wash the fabrics beforehand. FLUX: What is your favourite piece from the VIVIDGREY range? It’s got to be the Slumber Light as I put my son to sleep under it every night. 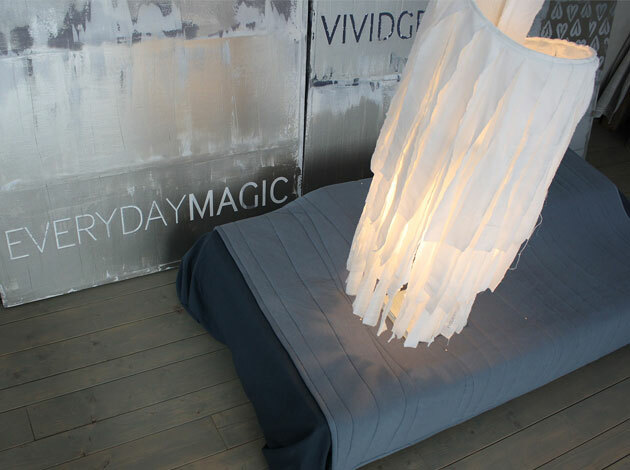 It gives the most beautiful warm light which contrasts to the ‘roughness’ of the torn fabric. It is made of very soft, fine organic cotton and its big size seems to serve as a cocoon. Of course, I like all pieces of the range as I choose to live with them in my home and I am also particularly fond of the Fringed Cushions. I love to touch their texture. My workdesk is placed behind a Magic Curtain, so I am looking through a subtle cobweb most of the time which makes this feel like an enchanted place!